The Fate franchise began back in 2004 with an 18+ visual novel in which seven mages each summon a legendary hero and then battle each other to the death to win a wish from the holy grail. Today, it spans numerous anime, games, books, manga, and films. 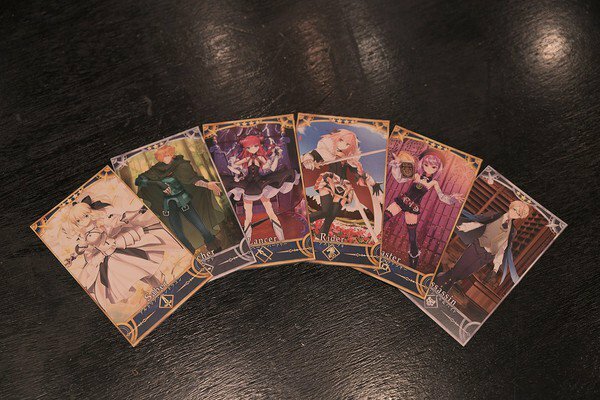 Recently, the franchise has once again come to prominence in the Japanese popular consciousness with the success of the smartphone game, Fate/Grand Order . Fate/Grand Order follows a young (and largely untalented) mage who has no choice but to travel through time to prevent the extinction of mankind. To do this, he summons an ever-growing number of heroes from myth and legend to put history back on track and save the world. What sets Fate/Grand Order apart from many mobile games, is its focus on story and character interactions—a single chapter often features as much text as many other full games. Moreover, its premise allows the plot to shift seamlessly between the tragic and the comedic while all still feeling like part of the same grand adventure. 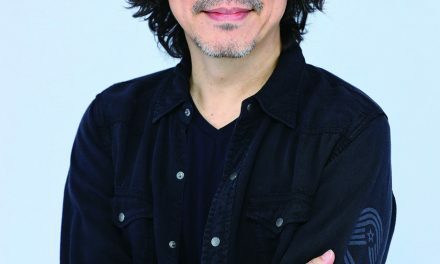 This winning formula has proved so successful that Fate/Grand Order was 2017’s second most profitable mobile game in Japan with over US$800 million made. 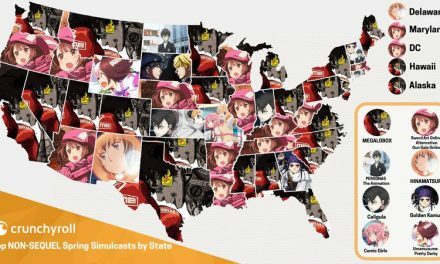 Just last year the smartphone game also spawned a real-world AR game, a cafe in Akihabara, and a massive two-day fan convention. Now it’s heading in a brand new direction: the first ever Fate -based real-world escape game. 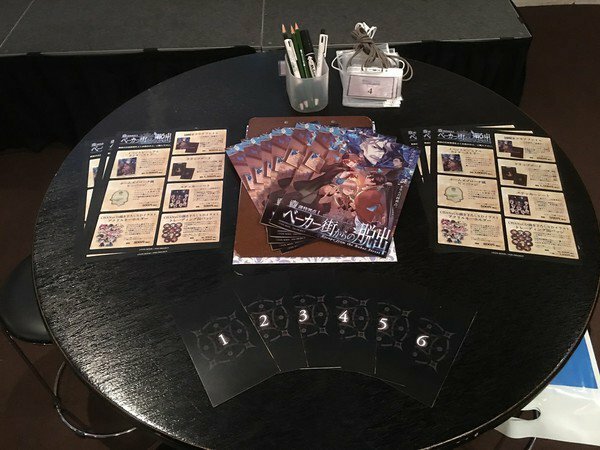 Fate/Grand Order Puzzle Singularity I: Escape from the Baker Street is running from May 11, 2018 to August 2, 2018 in various locations across Japan—but I was lucky enough to participate in the special premiere of the game this past Thursday in Tokyo. And let me tell you, the escape game-makers at SCRAP have really gone all in to putting you right in the middle of a Fate -filled, Sherlock Holmesian-style mystery. 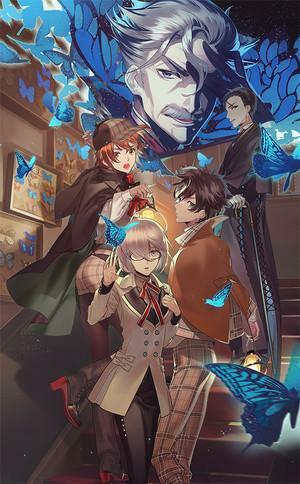 Like the smartphone game, Escape from the Baker Street is surprisingly heavy on plot and thus it is important to point something out upfront: The escape game includes a Servant appearing in Fate/Grand Order’s season 1.5, Epic of Remnant . And as the US version of Fate/Grand Order’s has yet to finish season one, the escape game itself contains major spoilers for Fate/Grand Order’s . One day, an alarm suddenly reverberates throughout the facility and you are called to the control room. 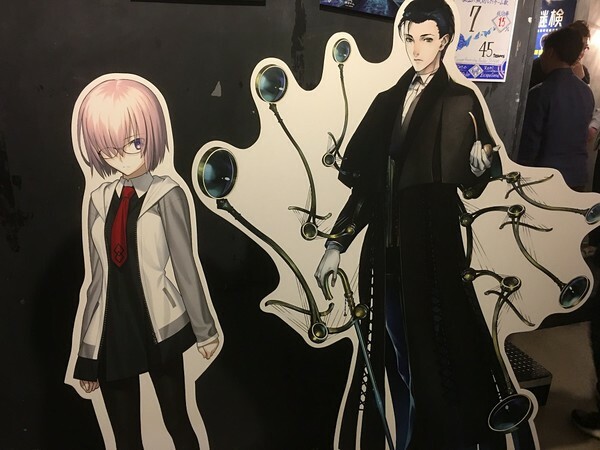 A singularity reaction has been observed at Baker Street and it has been decided that you and Mashu will immediately rayshift there. In Escape from the Baker Street , you take on the same role you do in the smartphone game—i.e., that of the time traveling wizard. Your partner, Mashu Kyrielight; OG renaissance (wo)man Leonardo da Vinci; master detective Sherlock Holmes; and the enigmatic “Shinjuku Archer” all appear in two fully voiced cut-scenes using sprites and artwork taken from the mobile game. For the escape game itself, you are split into teams of six. Each player gets to choose one legendary hero to help the team overcome the various challenges and puzzles. Like many of the escape games I’ve played, Escape from the Baker Street follows the standard pattern. You are given various puzzles to solve—sometimes on paper and sometimes involving various objects. Once you solve the puzzle, you turn it in to a member of the staff who then provides you with both a bit more of the plot and the next puzzle for your group to solve. Solve them all in an hour and you win. Don’t and, well… game over. For my group this time, I brought along two people with similar knowledge of both escape games and Fate/Grand Order . We were joined by two strangers who, while huge fans of Fate/Grand Order , had never played a real world escape game before. And as we didn’t have a sixth player in our team, the most experienced of us doubled up on servants. (I personally ended up as the master of Helena Blavatsky). Before the start of the game, we were warned that Escape from the Baker Street is rather difficult as far as escape games go with a meager 15% expected win rate. Now, while I’ve played around five escape games over the past two years, I wouldn’t call myself anything beyond an average player. In that time, I have only won one: the amusement park-spanning One Piece Film Gold escape game. More often than not, my team and I reach the end of the game, but get the bad ending rather than the secret good one. So as an average player, I agree that Escape from the Baker Street is quite challenging. But to prevent players from becoming stuck for too long on a single puzzle (and thus missing out on the fun stuff the late game has to offer), each team gets a hint book they can use at their own discretion. However, even with the aid of the hint book, a mere two teams of twelve correctly solved Escape from the Baker Street in my session. Unfortunately, my team was not one of them. As is par for the course for me, we were heartbreakingly close, but not quite there. As happy as Escape from the Baker Street will make those looking for a challenging escape game, it will make fans of Fate/Grand Order even happier. The escape game heavily incorporates the franchise ‘s lore and uses it constantly throughout the puzzles, so much so that if you are a Fate fan, you will have a clear edge in the game. The story is likewise strong. 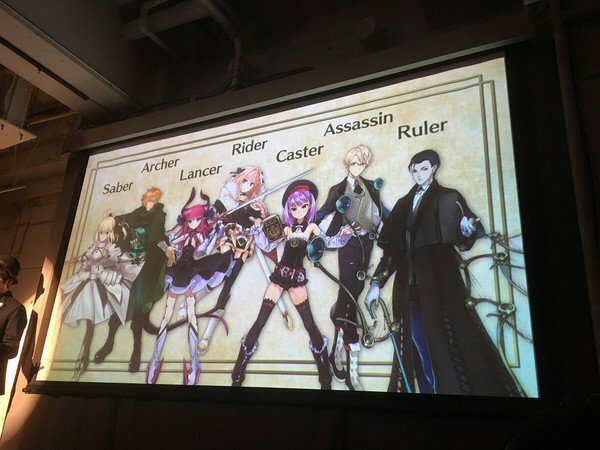 It explores the complex relationship between Shinjuku Archer and Holmes while still giving you and Mashu the chance to shine as heroes. Even if you’re terrible at puzzles in general and escape games in specific, I would recommend Escape from the Baker Street to any fan as long as you speak enough Japanese to play it (there are currently no announced plans for a Western release). Win or lose, it feels like a missing chapter to Fate/Grand Order and the fact that you get to actually participate in the story is the icing on the already delicious cake. 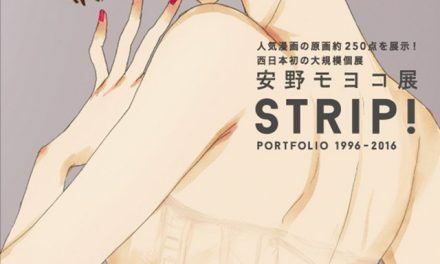 Tickets can be bought through the event’s official homepage (Japanese only).